Author Marc Liebman is one of the hardest working authors we know! 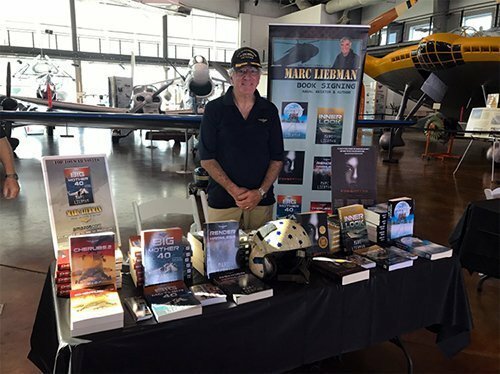 Here he is at the Dallas Flight Museum displaying his exciting int’l action thriller Josh Haman series. A retired Navy helicopter pilot, Marc is also a professional speaker. The Book Cover Whisperer is proud to say we designed all of his covers, his floor banner ad, signs, bookmarks, postcards, and even website!